How Far is RC Eden Crest? 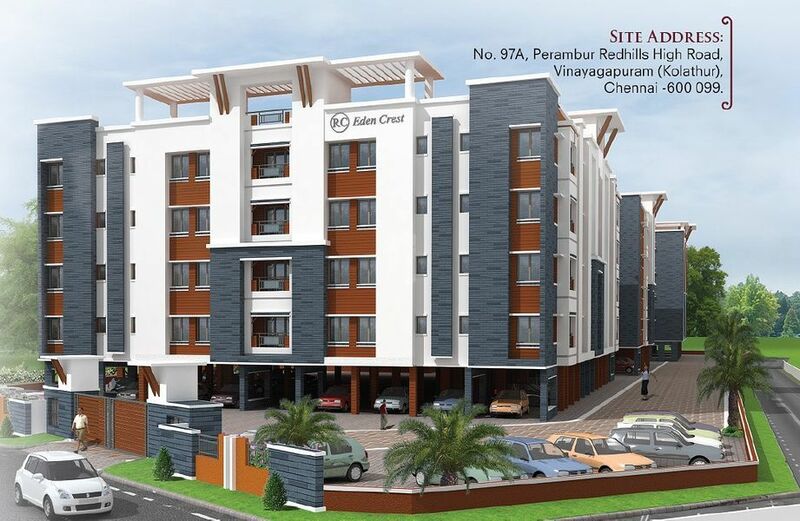 RC Eden Crest is a project by Rajarathnam Construction Private Limited located in Kolathur Chennai. 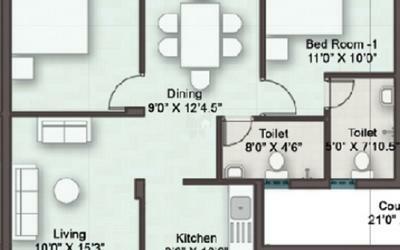 2BHK Flat has a range of area from 1016 Sq-ft to 1068 Sq-ft . 3BHK Flat has a range of area from 1123 Sq-ft to 1488 Sq-ft . 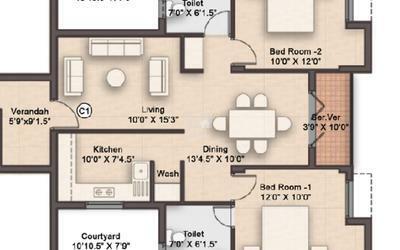 Lift, Conference Room and Multipurpose Hall. MDA & RERA approved with 94 flats, strategically located close to Schools, Colleges, ATM's, Hospitals, Markets, Entertainment centers and vast Luxury options. Good access to reputed educational institutions like Velammal, SBOA, St. John's, Schram Academy, Narayana Group of Schools. Rajarathnam Construction (P) Ltd began its inteception in the year 1992. Mr.Antony Rathinam’s humble beginning was translated into substantial growth through clear vision, hard work & focused contention in the realtors business. His knowledge, talent & insight is a model of financial strength & stability. His cutting edge technology is to improve company’s efficiency in order to provide quality product for the value of money to the discerning home buyers. His achievement started with the committed statement that reads “we are home people, we do the best for your hard earned money”. RC-Homes enjoys a proven track record of success as a leading builder of quality homes with lasting value. RC has built its business on honesty, integrity, trust & performance. Our experience & efficiency allows us to get your home delivered on time within the budget and to your complete satisfaction. RC possesses a rich construction experience drawn across over two decades with a dedicated team of experts and professionals. RC has established itself with a strong clientele relationship over the years.